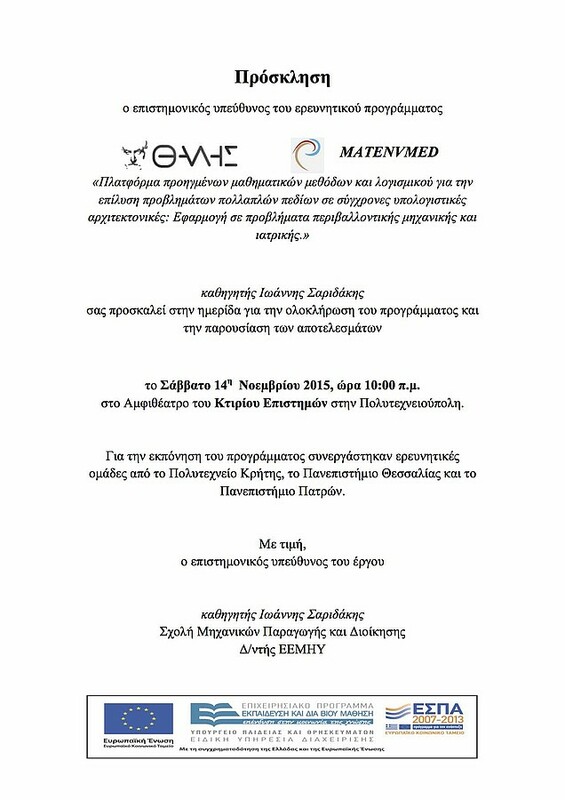 The MATENVMED results Workshop is scheduled to take place in the Department of Sciences amphitheater on Saturday, November 14th 2015. During the workshop, the members of the MATENVMED research teams will present the results in the actions they contributed. 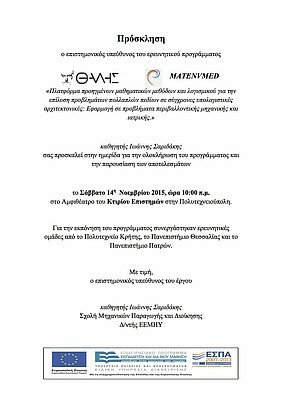 The workshop starts at 10:00 am and the schedule is available here (in Greek).